The Royal Society for the Protection of Birds (RSPB) has today announced that it has set its sights on the UK music charts with a single composed of bird songs in a bid to highlight the falling population of British birds. 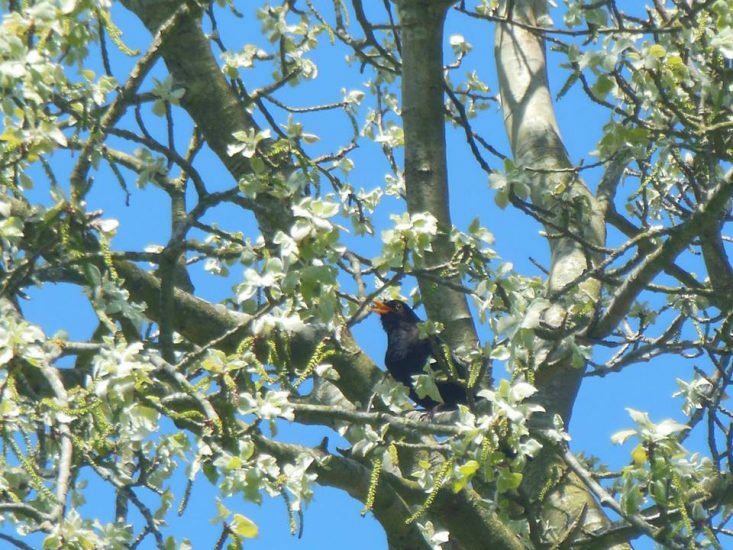 Selected bird songs recorded by RSPB experts will be put together by folk singer, Sam Lee and music director, Bill Barclay to create a two and a half minute single titled “Let Nature Sing”. The track will feature 25 calls of some the nation’s most endangered yet beloved feathery friends, including the blackbird, robin and nightingale. The RSPB says that the UK’s bird population has shrunk by 44 million since 1966, due to destruction of habitats, pollution and climate change. The number of cuckoos has dropped by around 50% since 1970, while the number of turtle doves is down 98%. Adrian Thomas of the RSPB said, “Our track, as well as being a wake up call, is really an invitation to go and experience it for yourselves. You only have to step outside your door on a fine spring day and hopefully you will hear some birdsong, but the tragedy is that with each generation we are losing more. We need to cherish it; we need to save it”. “Let Nature Sing” will be available for pre-order from April 5th and released to the public on April 26th.